We at BEST AUTO AND TRUCK OIL know that life can get pretty hectic sometimes. 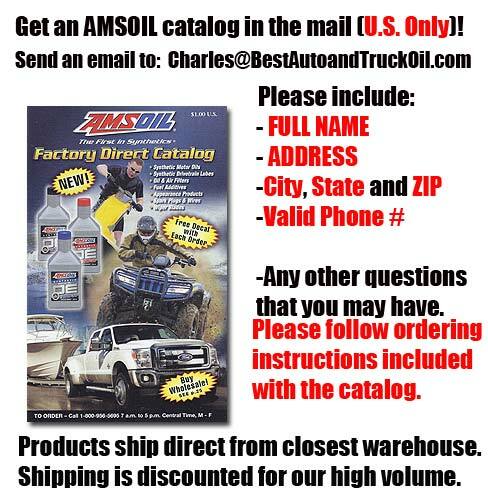 In fact, for many people it is almost impossible to find the time to change their oil .That's why we here at BEST AUTO AND TRUCK OIL are proud to offer extended drain interval oil the very BEST SYNTHETIC OIL on the market today.. We can eliminate the burden of wasting time changing your oil every 3 thousand miles with just one simple phone call. It's that easy. 1. 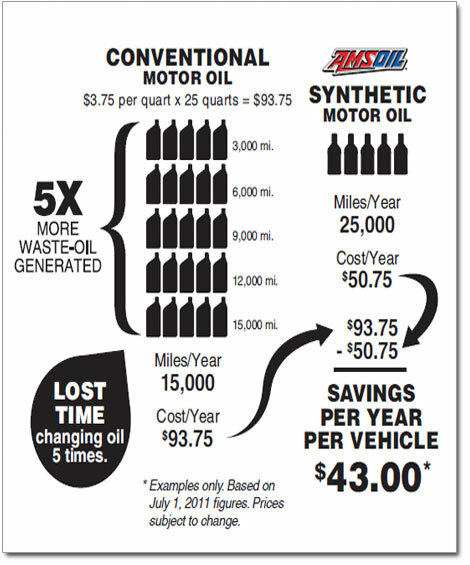 Synthetic Oil is Molecular Engineering for Modern Engines New lean burning, high output engines often run hotter than 240° F. New electronically controlled automatic transmissions have less aerodynamic cooling and are extremely viscosity-sensitive. AMSOIL Synthetic Lubricants are chemically engineer for thermal stability. They deliver dependable, long-lasting performance and protection that helps equipment last longer.